Cut ghost shape out of waxed paper to use as template. Place template on serving dish or cookie sheet. 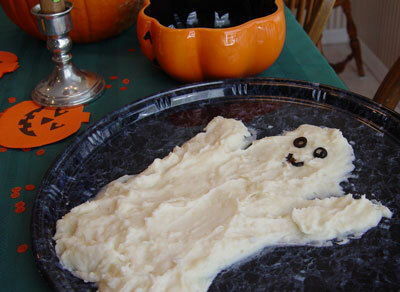 Use rubber spatula to mold potatoes into ghost shape. Slice olives to create circular shapes to be used for eyes and mouth.